No insect group has more species than beetles do. Beetles do have two pairs of wings, even though some species make the impression of being wingless. The front pair however is fully made of chitine, extremely tough and cannot be used for flying. We call them shields and one of their tasks is to protect the real wings, the ones used for flying, located beneath. Just catch a lady bug, put it on your hand pointing upwards. 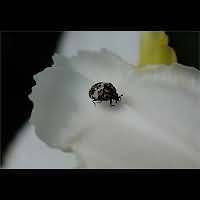 The lady bug will try to find the highest point and once there will slide away its shields, revealing the real wings. Immediately afterwards it will more or less elegantly fly away. Not all beetles have shields covering their entire body. In Western Europe lots of beetles are so-called Rove Beetles. They all have very short wing cases, leaving the greater part of the body naked. 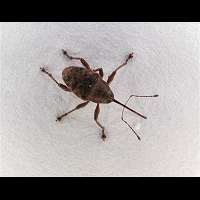 The real wings are folded under the remains of the shields, the same way earwigs do. But even though chitine may be light, insects are never very big. 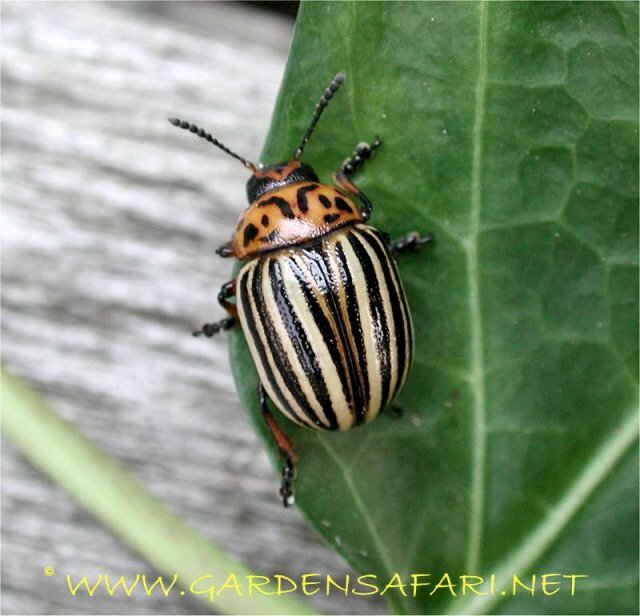 In beetles the maximum size is about 20 by 8 centimeters, such as the tropical Goliath Beetle, a relative of our May Chafer. The majority of species hardly ever reaches 1 centimeter, while many species even don't reach a millimeter! The biggest species we had in our garden so far is the famous May Beetle, which reaches about 3 centimeters. On our pages the smallest beetle is Anthrenus pimpinellae, a relative of the infamous Museum Beetle. Even smaller species can be found in our garden, but most of these are too small for our camera to handle. 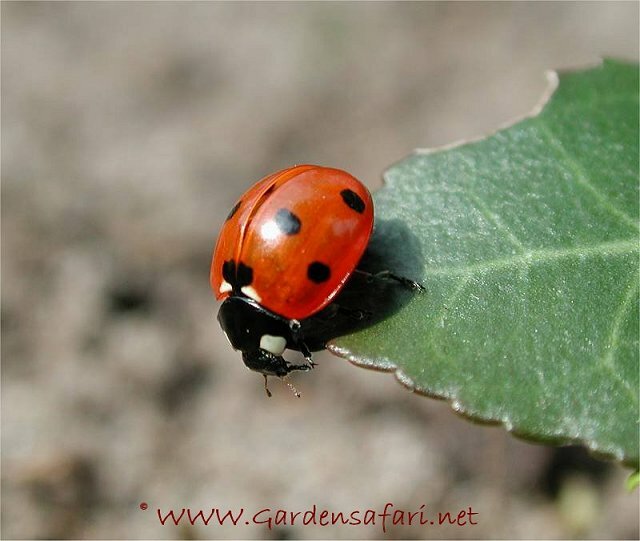 Lady Beetles need little introduction, for they are perhaps the best known beetles. 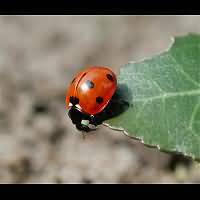 Known by many names, such as Ladybirds or even Ladybugs many people have held them in their hands. Most species are very useful, for they and their larvae hunt for aphids. 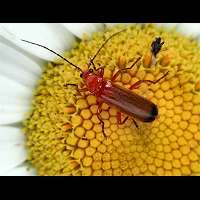 The Soldier Beetles and the Soft-winged Flower Beetles are two closely related families. Some representatives of these families are extremely common in gardens and along roads. The Hogwood Bonking Beetle for instance is present usually in great numbers on hogwood and other umbellifers. They do not even hide themselves, except when a thunderstorm is approaching. There are quite a number of species, all rather uniformly shaped. The species can often be told apart by looking at the colours of all body parts. 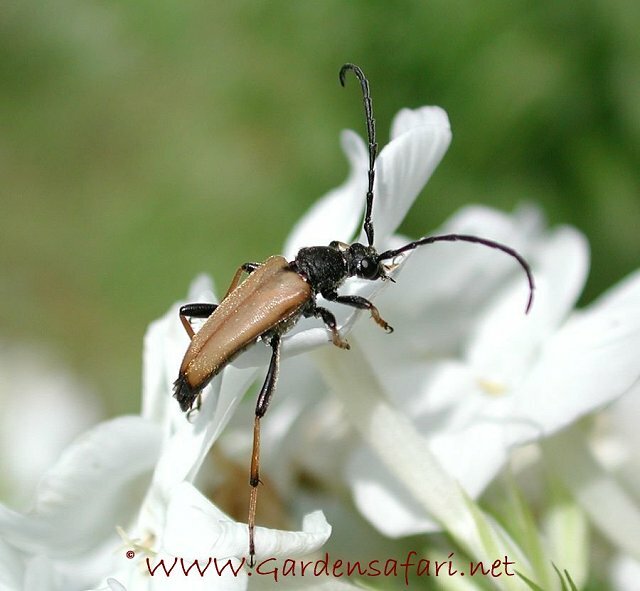 Longhorn Beetles usually do have very long antennae. Almost all species are vegetarians. The larvae often live inside the stems of plants, including tree trunks. Some have a bad reputation, for they live inside dry, dead wood, such as beams and joists. After a few years the beam maybe hollow and may not support anything anymore. 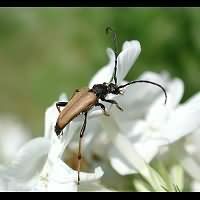 Actually some longhorn beetles are long lived. Dry wood is not very nutricious and it may take larvae up to 15 years to complete their development! Most species are harmless though: they live in the stem of plants, such as reet, or in rotting wood. Click Beetles are named after the clicking sound they make when turning over after falling on their back accidentally. They all look about the same: slender, elongated bodies and a rather big, impressive neck shield. Some larvae are harmful in gardens or agriculture, for they feed on the roots of various plants. The larvae are extremely hard en move quite fast. They are commonly known as wire worms. 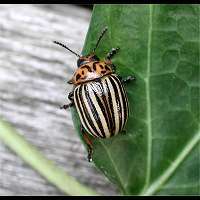 Leaf beetles come in many colours and sizes, but all are vegetarians. 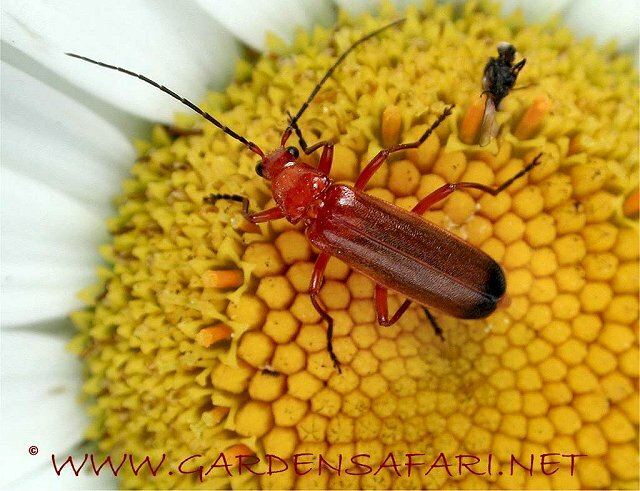 The bigger species often are very colourful, such as the red Lily Beetle and the Colorado Beetle. The Flea Beetles on the other hand are very small and usually brownish. Many species are readily identified, but a number of black or blackish blue small species are very difficult to name. Usually knowing the food plant helps a lot. By the way the oddly shaped Tortoise Beetles belong to this family as well. 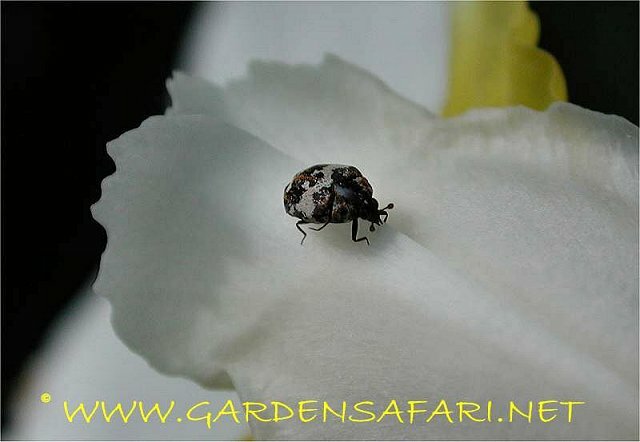 Weevils are except for a few species, small beetles with a long snout. Many species are also known as borers, for they deposit their eggs inside developing fruit or nuts. To do so, they drill a little hole in developing fruit. Many species are hard to identify correctly. Knowing the food plant however is very helpful, for most species are specialists attacking a single species or genus only. By the way many species have a much shorter snout than the animal in the picture has. Some families are dealt with separately. 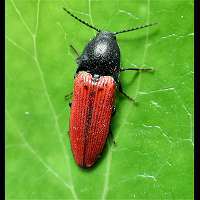 Others are divided into two groups: big beetles and small beetles. This is only done to keep the size of the pages reasonable. There is no scientific reason for this division at all. Besides there is a certain overlap. So when you can not find your beetle among the big beetles, don't forget to try the small beetle section as well. 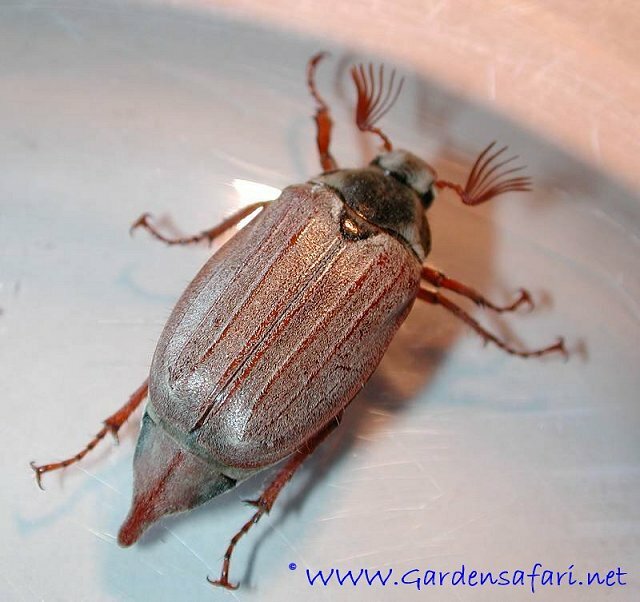 Big beetles are, among others scarab beetles, diving beetles, ground beetles, carrion beetles and chafers. On the following pages you will find a number of small beetles from families we haven't mentioned before. Actually they have little in common except for their size. Families dealt with here are Rove Beetles, Skin Beetles, Jewel Beetles, Woodworms, Tumbling Flower Beetles and Spider Beetles.